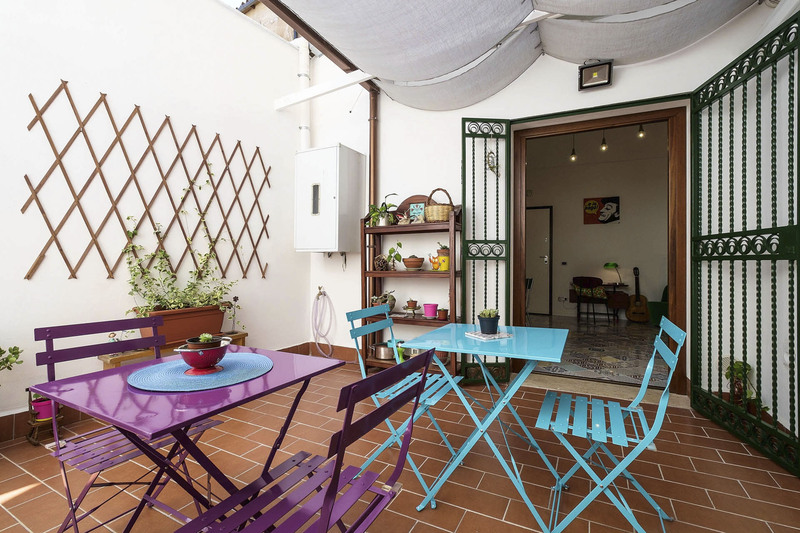 Description MAD bed & breakfast is located in the earth of old town Palermo, two steps from the Quattro Canti and the Fontana Pretoria. The Cathedral, the Massimo Theater and the Central Train and Bus Station are a 10-minute walk away. 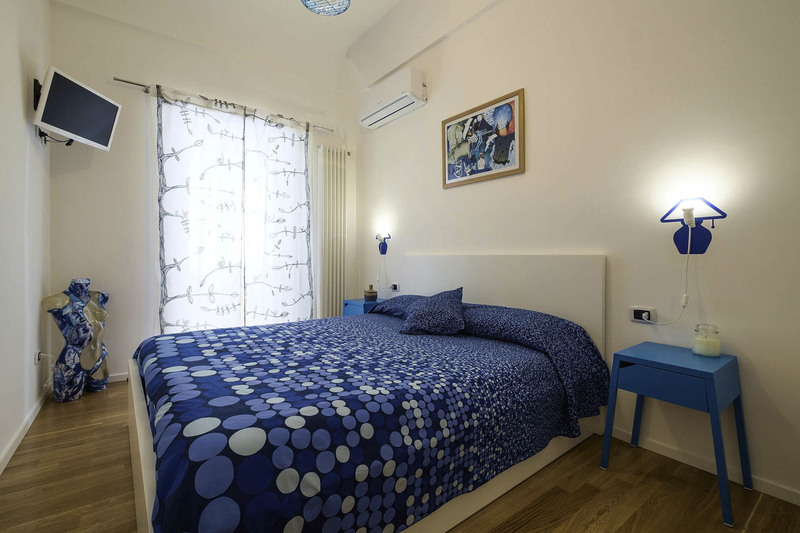 The owners Antonella and Santino have furnished this apartment with passion, that’s cozy and with attention to detail. Graduates in Archeology and DAMS they offer guests experiences related to crafts, culture and Sicilian cuisine. 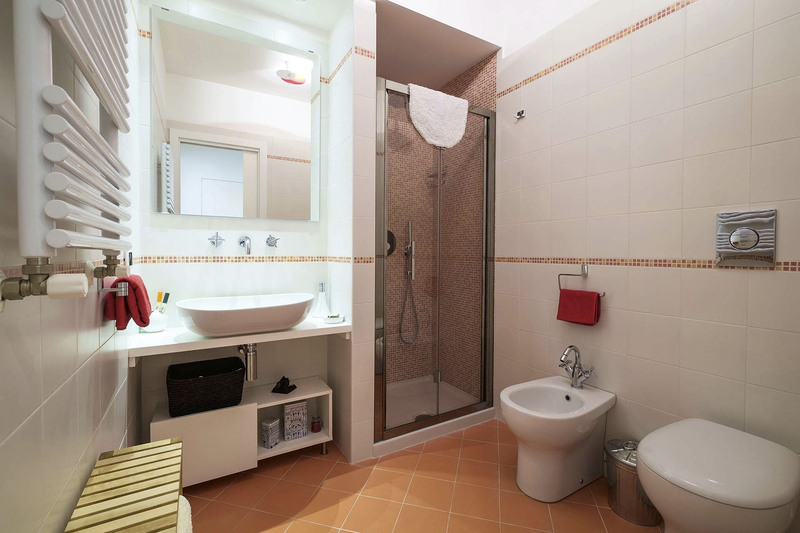 It’s included in the room price: breakfast (gluten free on request), luggage storage and insertion into the White List for free car access to Old Town Limited Traffic Area, valid on day of arrival (on request). Rooms Common areas are the living room and the green terrace, intended for breakfast and relaxation. 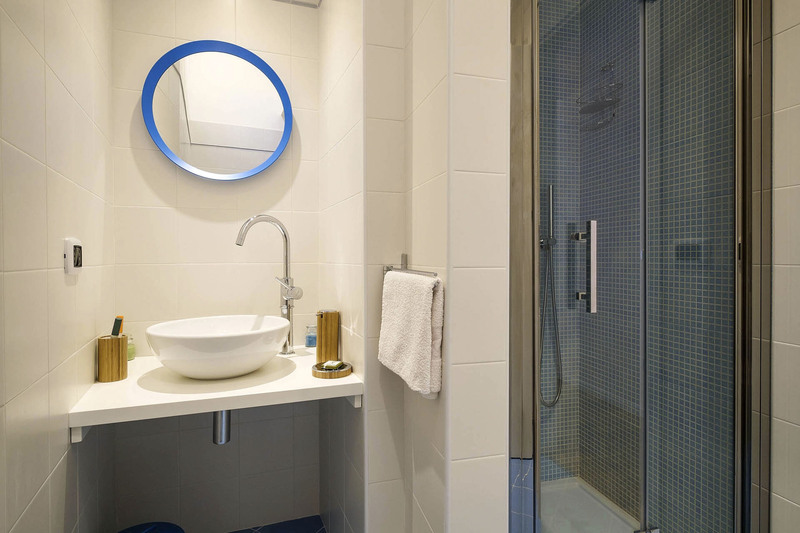 The bedrooms are equipped with ensuite bathroom: the Blue Room is a double room with double bed, the Red Room is a double/triple room and family (double bed and sofa bed or French). 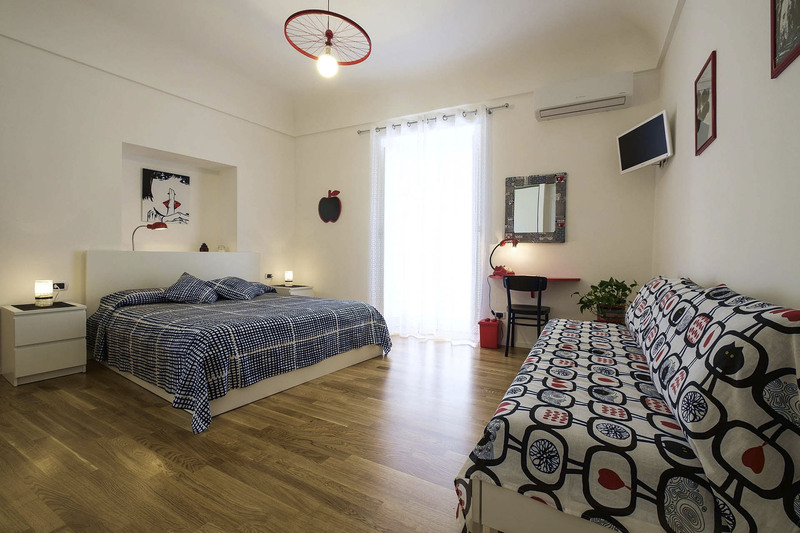 In both rooms it’s possible to add a camping cot for the younger children. Air conditioning, wi-fi h24, heating, safe money box, 24 "LED TV, DVD / blu-ray player, bed linen and towels, hair dryer, toiletries (soap, hand soap, shampoo, shower gel, cap, cream), jug and kettle (in the room). City maps, guides, information brochures and books available, guitar, board games (in common). Get off at the last stop Central Station (Piazza Giulio Cesare), go in via Maqueda and follow the route described above. 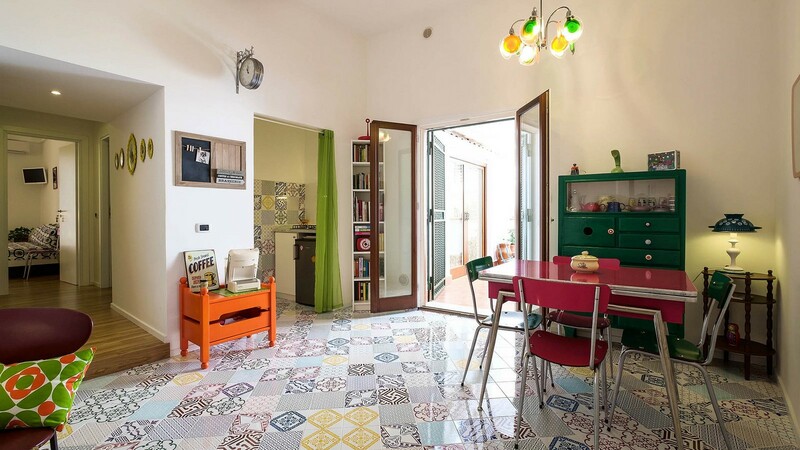 Take the A19 motorway towards Palermo, continue for about 35 km until the exit for Corso Calatafimi, continue on the ring road until via Ernesto Basile and then on to the Central station. Take Via Roma and turn left in Corso Vittorio Emanuele and then left again in via Maqueda, and finally to 300 but right in via del Ponticello until No. 49. From the harbour (3 km): 25-minute walk or 8 minutes by car. On leaving the harbor, take a left on Via Francesco Crispi and continue for about 1 km, then turn right on Corso Vittorio Emanuele to the traffic lights of the Quattro Canti (Piazza Vigliena). Turn left onto Via Maqueda and 300 meters turn right in via the bridge until No. 49.